Children run in between narrow alleys making their way through women buying their daily needs and some tourist taking pictures. The sunrays peep through plastic sheets that hang from one building to the other protecting the souk from the harmful sun. The hustle and bustle of every day life unfolds in this maze like souk. The smell of spices whiffs in the air trailing from one alley to the other. The butcher hangs his fresh meat on display next to the small coffee shop whose freshly brewed Arabic coffee invigorates the air around it. The laundry of the families living on top hangs dormant as the sea breeze lulls it to dryness. The kids wave from their tiny gridded balconies with their legs hanging out, happy to take part in this scene. On a high hill overlooking the Mediterranean some 30 miles south of Beirut lies the pilgrimage town of Maghdoucheh, famous for its 30-meter bronze shrine dedicated to the Virgin Mary. It was here in Maghdoucheh that the Virgin Mary is said to have waited in a cave for her son Jesus to return with his disciples after preaching in nearby in Sidon. The statue, which depicts Mary holding Jesus in her arms, weighs a hefty six tons and was built in 1963 above the cave in which Mary was believed to have waited. Saida, Arabic for fishing, takes its name from the old Phoenician word sidouna, also meaning fishing. In Genesis Sidon is a son of Canaan, a grandson of Noah. One of the most important, and perhaps the oldest, Phoenician cities dating around 4000 B.C., and perhaps even earlier, in Neolithic times, it was twice destroyed in war between the 7th and 4th centuries B.C., and again during the earthquake in the 6th Century A.D. It was the base from which the Phoenician’s great Mediterranean empire grew. 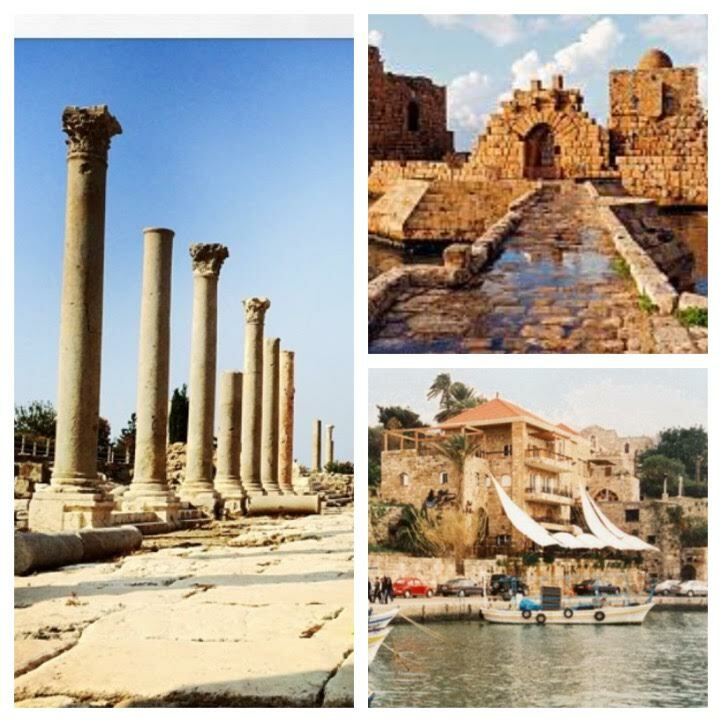 Of all of Lebanon’s cities this is the most mysterious, for its past has been tragically scattered and plundered.